Goomeri Cnr Burnett & Wide Bay Highway, QLD, Australia. Note - there are limited powered camping sites available. 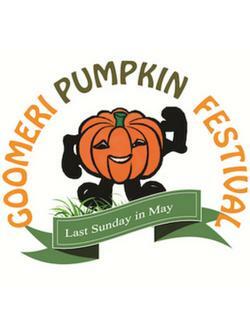 A free entry, fun filled family friendly festival, featuring the humble "Pumpkin". Competitions, entertainment, a huge street parade and over 200 market stalls make this a day in the country with something for everyone. Camping facilities at the Goomeri Sportsground provide - showers, toilets, with RV Dump point across the road at the showgrounds.